There’s so much cruft and tat surrounding singing competition shows nowadays. 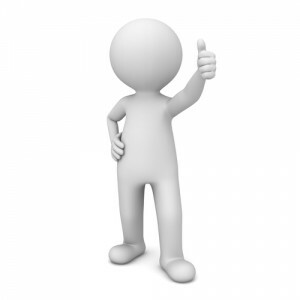 Cory Anotado creates the perfect talent competition. After watching Rising Star on ABC, and the abysmal reception it received on social media, I feel like I could craft a singing competition show better than any network out there. The problem with shows like The Voice and American Idol and the like is that so much of the show is bogged down in mindless gimmicks, endless VT segments, problematic decision-making and droll hosting procedures. Therefore, I am proposing a new television program entitled Pure Talent, a show where only pure talent wins. One of the things I liked about Rising Star was the fact that the singer was isolated from the audience. Let’s keep that going but add one more layer of isolation: the audience will be isolated from the singer. What we will see on-screen is a featureless computer-generated model, like someone in a morph suit. Their movements will be tracked and translated via some fancy technology (I don’t know—maybe a Kinect or something?) so that we aren’t swayed by the singer’s gender, beauty (or lack thereof) or stage presence. If we care about the singing, then we’re getting singing. You won’t even know the singer’s name and age unless they pass to the next round. 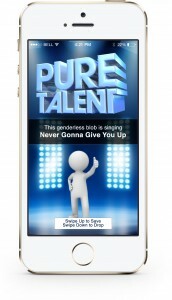 The Pure Talent™ app is going to have the same Tinder-esque response to singers: If you like them, swipe up for good! If you have them, swipe down for bad. Once a singer hits 80%, they move on to the next round. But what about the judges/coaches/experts that are the cornerstone of the singing competition show? Don’t need them. All they do is pander to the audience and slow things down. Their votes are worth nothing, their input is not needed and their coaching input is as valuable as mine is (read as: not valuable at all. I mean, seriously. All I can say is, “sing better than ever have” every week). If a singer manages to pass the 80% threshold, they get the highest honor of revealing their identity, finishing their song and coming again next week. If they fail to pass the 80% threshold, the floor underneath them opens and a trap door whisks them away sight unseen. (Russian Roulette had the right idea.) Then, the next singer appears. No one is bogged down with their life story. We’ll give you a twitter link and you can find out their life stories on your own time. In my estimation, if we have 1:30 songs, then we could easily cycle through at least 45 different singers in the course of our two-hour premier. But what of the next week when we’ve whittled down our singers? Well, Aquafina® presents Pure Talent™ has an interesting twist that will light the social media ablaze: The Song Machine. A giant slot machine pre-loaded with hundreds of thousands of different pop songs. 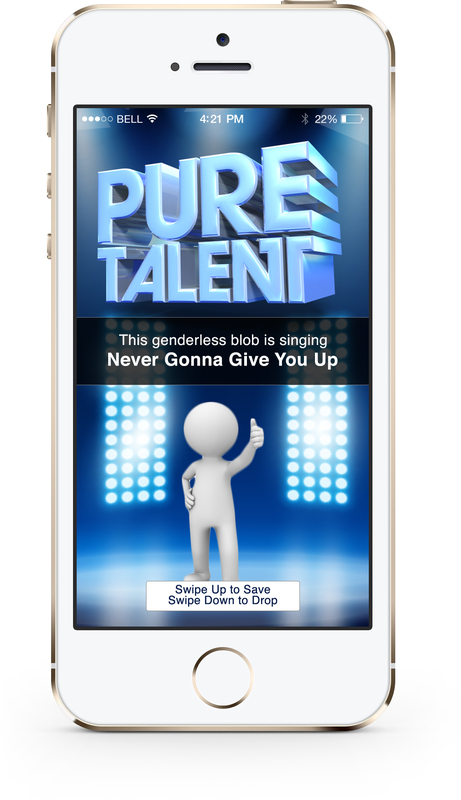 Each singer will be given a list of every single song in the slot machine and will have to be prepared to sing any of them, testing their Pure Talent™ powered by UPS®. Same rules apply. If they meet the threshold, they live for another day. If they don’t, out they go. Play continues every week until one person remains. 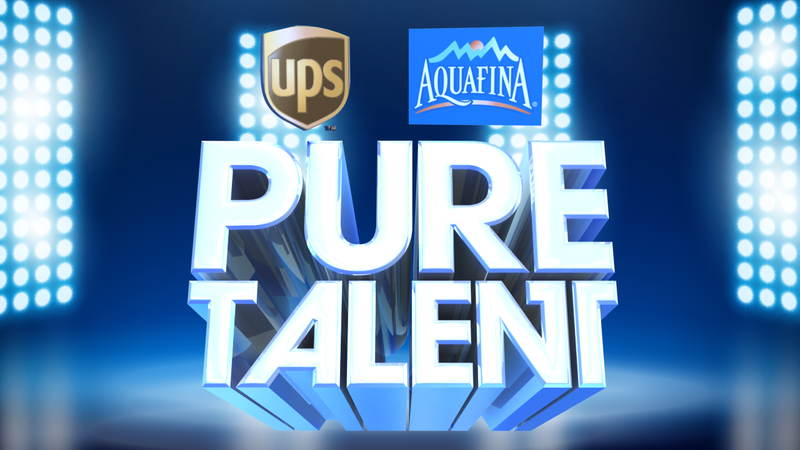 Aquafina® presents Pure Talent™ powered by UPS® removes the terrible things that plague every modern singing competition show: obnoxious or ill-equipped hosts, tedious and unnecessary human interest stories, a slow-as-dirt pacing, celebrity judges that add nothing to the proceedings. What’s left? Pure talent. Presented by Aquafina. And powered by UPS. Would you watch the hell out of this show? Leave your comments below!